The technical know-how of Bosch Rexroth combined with comprehensive expertise in industrial applications are incorporated seamlessly into the design of these modular workstations – this meets the demands of qualification levels in the industry. The learning topics range from the manually and electrically actuated on/off hydraulics and continuous control valve technology, to mobile hydraulics. Get to know the connections in hydraulics with our training systems. The hallmarks of the new WS200 training system are its modular approach and practical compact design, as well as practice-oriented equipment. 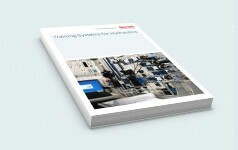 Therefore it offers perfect and low-cost access to the world of Rexroth knowledge. The WS200 is immensly versatile. Customized qualification measures for specialists in the topic of on/off hydraulics and in the topics of pneumatics and automation technology can be provided at the workstation. 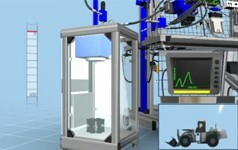 Six standard models of the WS200 workstation are available. The WS290 workstation offers unlimited options for creating practical and demanding tasks in the fields of on/off hydraulics, continuous control valve technology, mobile hydraulics and pneumatics. The WS290 workstation is used to provide instruction in industrial and mobile hydraulics. By upgrading the unit with a grooved plate, it can also be used for pneumatics and automation technology. It provides the basis for instruction on how modern hydraulic circuits perform and prepares students in an optimum way for their work in their companies. By using a load-sensing unit, the WS290 is ideally suited for mobile hydraulics training. The special characteristics of mobile applications are practically illustrated in this way. The practical exercises for the topics are covered via hydraulic components included in the equipment sets, any corresponding electrical interface connections and via the exercise books. The standard industrial components with nominal size 6 used in our equipment sets are the same as those that the students will use in systems and machines later in their professional life. For safe and practical use, the hydraulic components are equipped with a quick coupling system and a quick mounting system for a grid.